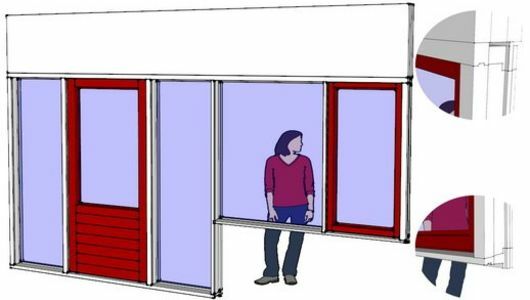 RubySoft proudly presents 3dWindow; a powerful but easy to use extension for SketchUp. It is a must have for everyone who uses SketchUp for construction & architectural drawing or any 3d-modeling. Never before has it been so easy to dynamically create high-detailed and stunning looking frames, windows and doors into your model. And it takes only seconds! 3dWindow version 4.5 'Fenna' or alternatively here. You can download the plugin with FULL functionality for ten days and obtain an additional license from the web shop. The only limitation you have is a maximum of five frames, windows & doors to your model. We appreciate all your feedback! 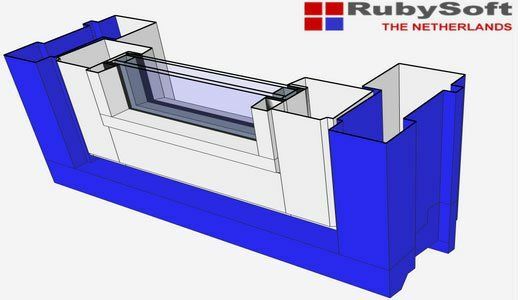 RubySoft uses this plugin to demonstrate its knowledge and expertise of RubyScript; the software behind SketchUp extensions. I’ve recently discovered the power of SketchUp. I grew up using Autodesk AutoCAD. But now SketchUp has become my main tool of choice. In addition, I’ve determined RubyWindow to be an extremely plugin and I’m looking forward to making good use of it. I’m looking forward to seeing other great products from the mind of RubySoft. With this purchase you receive a license to 3dWindow LITE for one year. With this purchase you receive a license to 3dWindow FULL for one year. With this purchase you receive a license for upgrading your current 3dWindow 'LITE' to 'FULL'. This purchase extends the previously obtained 3dWindow 'LITE' license for one year. This purchase extends your previously obtained 3dWindow 'FULL' license for one year.